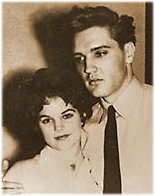 Priscilla Beaulieu Presley tells the story of her life-long romance to Elvis Presley. She met the King when he was the biggest star in the world - but stationed at a military base in Germany. The draft was definitely still going on back then, and it wasn't doing wonders for Elvis's career, who'd just left behind the peak of stardom. 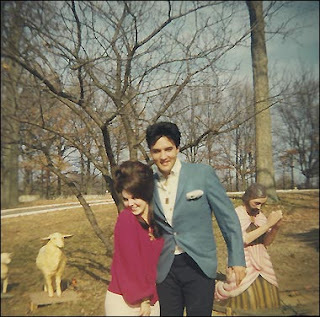 The story begins with this shocker: Priscilla was only 14 when she fell in love with Elvis, and he was 24. It was a romance that would last a lifetime. Priscilla would be his girlfriend, and eventually wife, for the next twenty plus years. What's frightening is the total dependence and control that Priscilla allowed the King to have over her life. He was a master manipulator, and she changed her speech, style, makeup, posture, tastes, beliefs, morals and pastimes to match his. Elvis could have a violent temper, and she was so afraid of upsetting him that she ended up with ulcers in her stomach. In fact, most of her relationship with Elvis was spent with Priscilla waiting in an empty house, shut off from the world, hoping that Elvis would come home and remember who she was. I'm not trying to be critical. Elvis was the King. He was amazing, and so was Priscilla. But this book sheds a light on how incredibly disappointing fame seems to be for those who climb to the top of the ladder. Elvis had everything, but he was intensely unhappy. Priscilla bent over backwards to please him, but it was never quite enough. She always bowed to his wishes, even when she knew it was wrong. She was too afraid that he would no longer love her. At any rate, this book reads like a romantic drama, and the whole time I wanted to shake both Elvis and Priscilla and tell them about a little thing called...reality!